We have a variety of associations with paint colors. There are always a variety of reasons why a specific paint color won’t work. Sometimes it just won’t mesh with the decor. Other times it doesn’t embody the proper feel of the room. And in other cases, a paint color simply does not vibe with an individual. 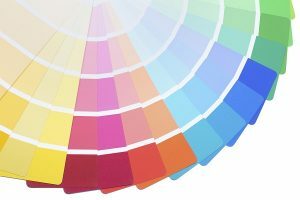 There are paint colors that are known to evoke a certain feel and association. However, there are some people who feel differently towards that exact same color. Here are just a few unexpected color associations that people have. Typically known to be a dark, depressing color, black usually evokes a sense of mourning. However, some people attribute the darkness to a sense of value. People use black in rooms to create sophistication, elegance, and prestige throughout their homes. Black paint can create the look of sophistication. This allows people to think a house that uses black paint is expensive and fancy. Regularly, red is considered to evoke passion and anger. However, the wonderful association to red has been a sense of coziness. The color red tends to have a real warming effect in people who use it in their homes with complementary furnishings. Customarily, orange is a color associated warmth, fun, and courage. The more unusual association with orange is that it can exude hunger. Orange has been known to stimulate hunger for people who may not see orange as a warm or fun color. Just like we refer to it as mellow yellow, the more standard associations are that yellow evokes joy, optimism, and creativity. On the other hand, some people associate yellow with low self-esteem. Yellow is known to make people a little more mentally critical and more analytical. Frequently, green is associated with nature, balance, and rest. However, other people who may dislike this color associate it with sickness. A feeling they get that actually makes them feel ill while looking at the color green. These people typically see green with a hint of yellow, which causes them to feel a bit ill when looking at the color green.